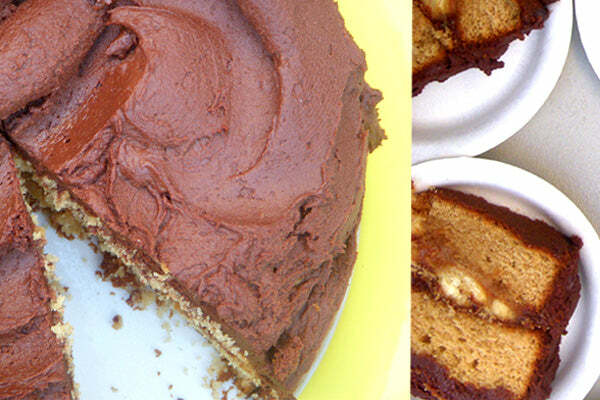 In memory of Elvis Presley who passed away on this day back in 1977, I’ve whipped up this decadent cake which brings together a few favorite peanut butter pairings like chocolate, caramel and bananas. It’s pretty enough for a party, and for sure one Elvis would have enjoyed! 1. Butter and flour two 8-inch round pans. Preheat the oven to 350°F. 2. 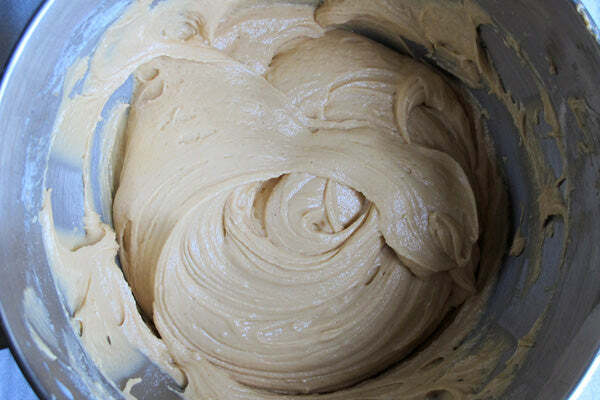 Whisk together flour and next 3 ingredients in a medium bowl. 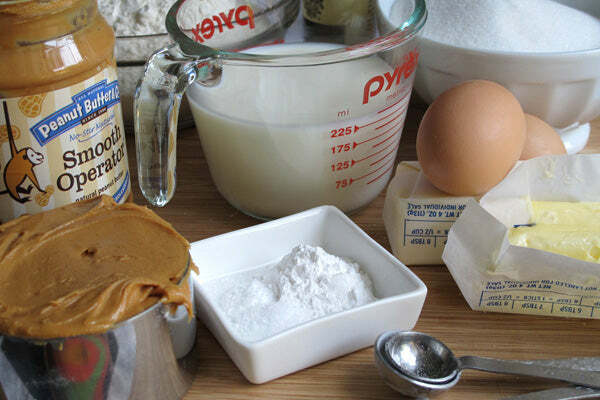 Meanwhile, in the bowl of an electric mixer, cream together the butter and 1 1/2 cups sugar; beat in Smooth Operator peanut butter. 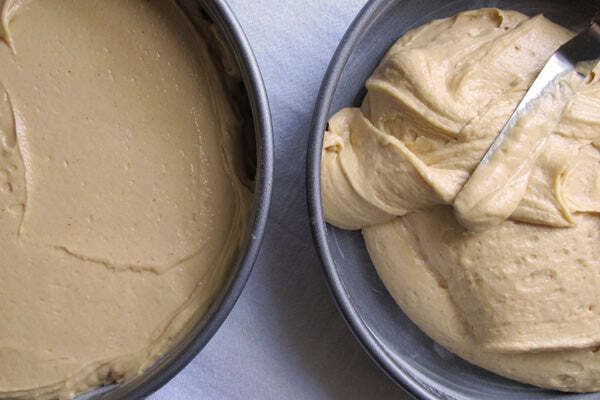 Beat in eggs and vanilla until incorporated; alternately add flour mixture and milk (beginning and ending with flour), frequently scraping down sides of bowl. Transfer batter to two pans. 3. Bake in the oven until the cakes test clean with a toothpick, 25 to 30 minutes. 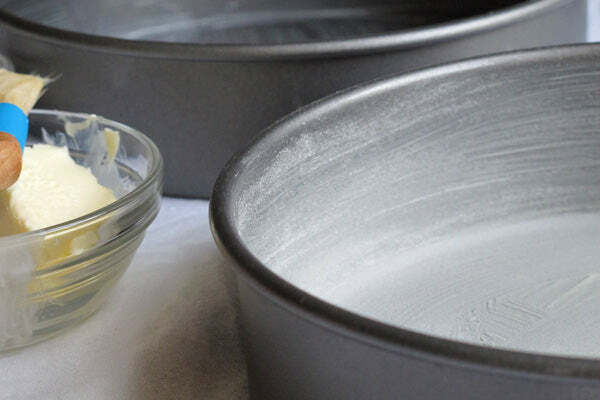 Transfer to a wire rack to cool completely, turning cakes out of pans after 10 minutes. 4. 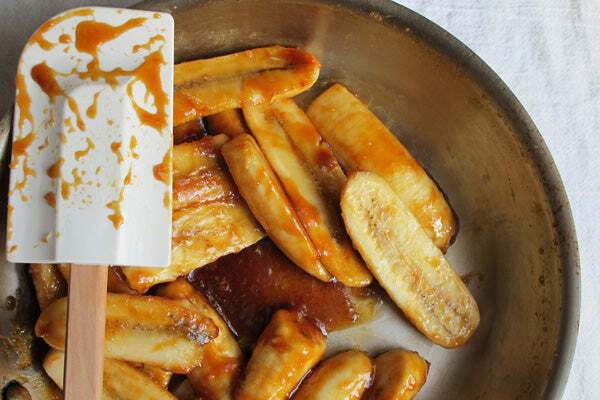 Make banana filling: Heat 1/4 cup sugar in medium skillet over medium. Cook, swirling pan occasionally, until sugar melts and turns an amber color; add remaining butter to pan. 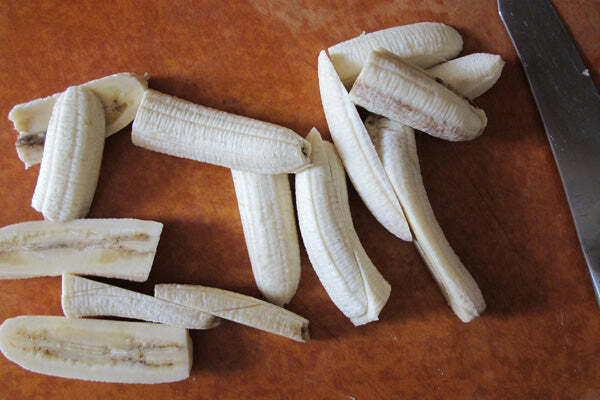 Add bananas; remove from heat and toss to slightly soften. 5. 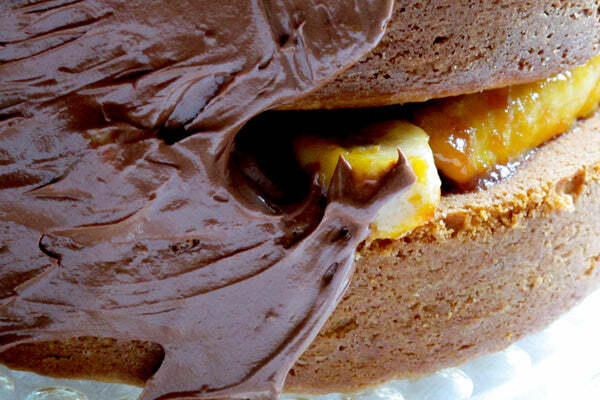 Assemble Cake: Place one cake layer on a platter; arrange bananas on top of layer. 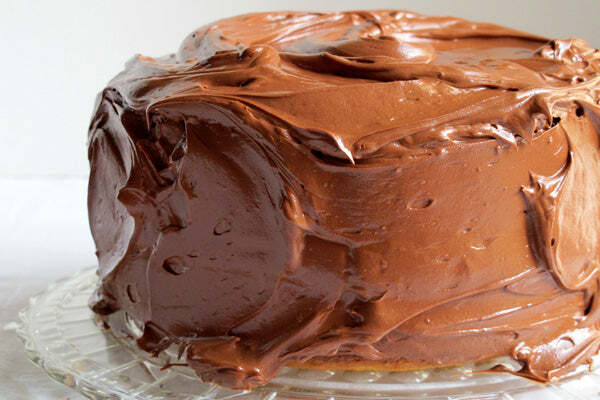 Sandwich with second layer; frost with Simple Chocolate Frosting, below. 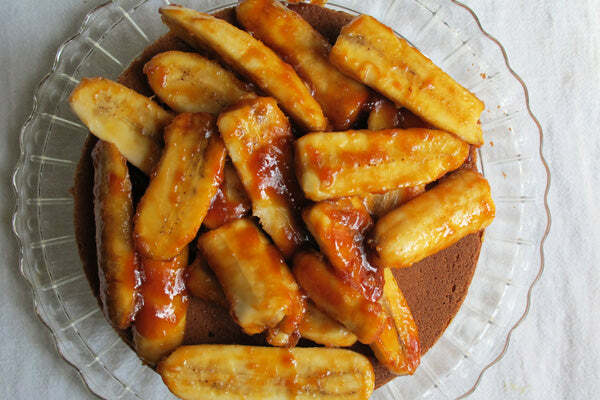 The post Peanut Butter Cake with Caramelized Bananas and Chocolate appeared first on - Peanut Butter & Co. Recipe Blog.